← Aujourd’hui, Îles Canaries; demain, le monde! Okonomiyaki, a photo by framboise on Flickr. Kansai-style okonomiyaki is pretty easy to make. Admittedly, we cheat by using a prepared flour mix, but you could make it from scratch with bonus foodie points using Maki-san’s okonomiyaki recipe. 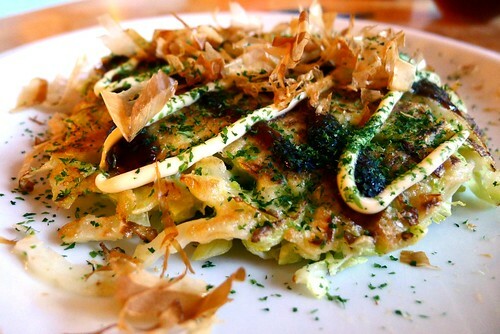 This entry was posted in akatsuki eats, akatsuki snaps and tagged japanese food, okonomiyaki. Bookmark the permalink.